China’s continued regulation of its bloated aluminum industry is having a far-reaching impact on the growing share price of its major producers, thus adding to a tighter global market and rising prices. 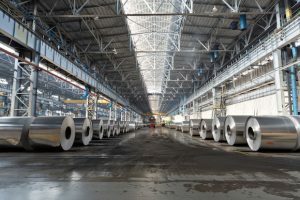 According to a recent report from Reuters, China represents nearly 60% of worldwide aluminum output with analysts estimating up to 4 million tons of capacity closing this year, accounting for one-tenth of the Far East nation’s total, putting added pressure on the global aluminum market. Aluminum Corp of China (Chalco) shares, a state-run entity, increased 47% since the start of last month. “Chalco is the market leader, so if (competitors) are closing down their capacity, they are able to expand their production,” analyst Helen Lau, of Argonaut Securities in Hong Kong, told Reuters. While aluminum prices are on the rise, they may have further to go, analysts tell Reuters. Shanghai aluminum is up around 11% so far this year while benchmark aluminum on the London Metal Exchange is up 14%. How will aluminum and base metals fare in 2017? You can find a more in-depth aluminum price forecast and outlook in our brand-new Monthly Metal Buying Outlook report.